Louisiana is known by many names such as Creole State, Child of Mississippi, Sugar State and many more. The Pelican State, as named by the official council, is averagely populated state and gained its statehood as the 18th state on 30th April, 1812. The state is known for the production of the crawfish and is the only state in the nation having parishes (the political subdivisions in the state). The state’s economy is forward biased with its energy, agriculture sector and film industry being the major propellants in the progress. The medical services and health care in the state are also developing under the supervision and guidance of the Louisiana Board of Nursing. What is the Louisiana Board of Nursing and what are the roles and responsibilities? Louisiana State Board of Nursing and the Louisiana State Board of Practical Nurse Examiners are the respective boards that are responsible for enforcement of safe nursing practice in the state. The main focus of both the boards is to promote the health programs and nurse practicing in the state. Both the Boards work under the guidance of the NCSBN and help in improvement of the nursing standards. Louisiana State Board of Nursing is the administrative board that regulates the nurse practicing laws and regulations in the state. The Board enforces and establishes laws and regulations on the various Registered Nurses and Advanced Nurse Practitioners in the state. 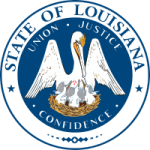 The Louisiana state board of nursing deals with all the issues or complaints regarding the nurse practice, licensing, certification, renewal of license, reinstating the license and any other practice related topic. Competent and Safe practice of advanced nursing and Medical Services to safeguard the health of the state citizens is the main motive of the board. Health report of the state helps in a lot of ways to improve the standards of medical facilities and nursing network in the state. The LSBPNE along with Louisiana State Board of Nursing plays a major role in the development of health services in the state. LSBPNE looks after the practice of LPNs and regulates the nursing policies related to the LPN in the state. The Board certifies & renews the licenses of the various practical and vocational nurses working in the state.